Do you know any families in which the husband has to forego a party at work commemorating his last day before retirement because his wife went into labor? Well, now you do: Meet the Meertens, one of Temple Beth El’s newest member families. Aliza and Dan Meertens welcomed their third daughter, Zariah, now two months old, joining Zahava (7 years old) and Zamora (2). Aliza and Dan were not born of the Jewish faith. 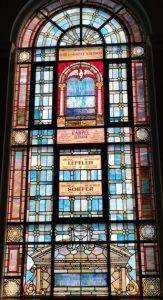 Their membership at Temple Beth El is an affirmation of their belief in Judaic principles and practices and the warmth of our temple’s congregants. 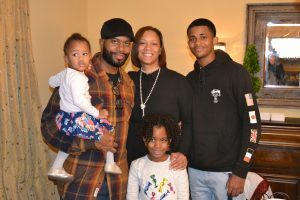 As Dan explained recently over a cup of coffee, a few years after his parents moved the family to New York from their native Guyana, he began studying the Bible. Convinced that Judaism “had it right,” he practiced many Jewish principles. Eventually he met Aliza, who was already living a Jewish life in practice, if not by official conversion. With a desire to obtain a recognized conversion for themselves and children, Aliza and Dan began to visit synagogues within a reasonable distance of their home in Arverne by the Sea. They attended Shabbat services and spoke to clergy at several synagogues. 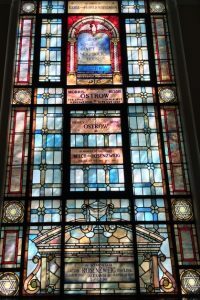 Perhaps you noticed them on one of their visits to Temple Beth El—you must have, because your warm welcome was a significant factor in their decision to make Beth El their spiritual home. 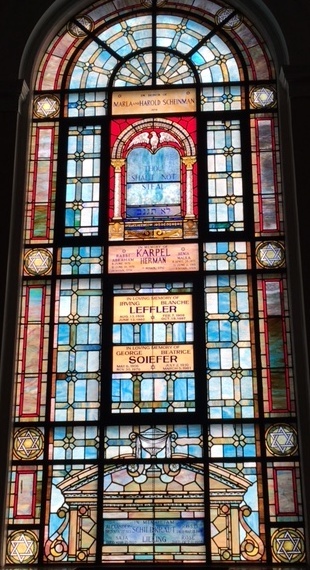 Perhaps the most important reason for their interest in Beth El was the response from Rabbi Kupchik. When he was first contacted by Aliza and Dan, he welcomed the opportunity to work with them, encouraged them to attend our services, tutored them and eventually performed their conversion. How gracious and welcoming other rabbis and congregations were is open to interpretation, but clearly Rabbi Kupchik’s attitude and style distinguished him from his peers. We were delighted to officially recognize them at our October Shabbat service honoring our half dozen newer members. Back to the last day of work…Dan just completed 20 years in the New York City Department of Corrections as a corrections officer, based on Riker’s Island. There must be many intriguing anecdotes he can relate, but he chose to describe the position as one that “does not enhance your spirit.” He will now have the opportunity to build his spirits daily as he chauffeurs Zahava to the Hebrew Language Academy in Brooklyn and then heads east to drop Zamora at the Laurelton Academy. He’ll also keep a watchful eye on Zariah once Aliza returns to work in March. She is employed by the US Treasury Department in Brooklyn. Aside from these family duties, Dan hopes to eventually find time for his music hobby. As a keyboard player, he and his two brothers were signed years ago by Elecktra Records. As they often do, family obligations and real life prevented them from seriously pursuing success in this arena. But whether it’s reengaging in a second career or embracing Judaism, the Meertens are demonstrating it’s never too late. 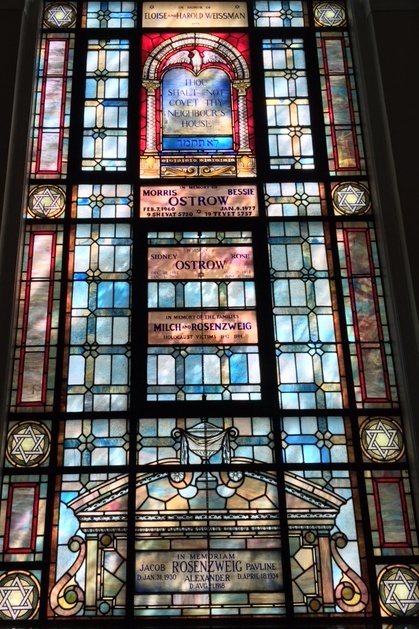 Copyright © 2019 Temple Beth El of Cedarhurst.